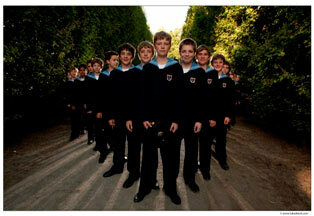 The Vienna Boys Choir is hailed as a musical treasure of Austria and one of the world’s foremost children's choral groups. Five years after their Loyola University New Orleans debut, the group returns Tuesday, Oct. 22 for an encore performance. The event begins at 7:30 p.m. in Holy Name of Jesus Church, located on the university’s main campus, and is part of the Montage Fine and Performing Arts Series. Tickets for the event are $20 in advance or $25 at the door for general admission, $5 for Loyola faculty and staff, and free for students. Tickets are available online, by calling 504-865-2074, or at the door 30 minutes prior to the performance. Free parking for the concert is available in the West Road Garage, accessible from St. Charles Avenue. Founded by imperial order of Emperor Maximilian I in 1498, the Vienna Boys Choir is a group of 100 choristers between the ages of 10 and 14 who are divided into four touring choirs. Each group gives around 300 performances annually for nearly half a million people across the globe. The choir’s repertoire includes everything from medieval to contemporary and experimental music. Motets and lieder for boys’ choir form the core of the touring repertoire, as do the choir’s own arrangements of quintessentially Viennese music, waltzes and polkas. For media inquiries or hi-res photos, contact Jess Brown in Loyola’s Office of Public Affairs at 504-861-5882.